Drinking water got you down lately? 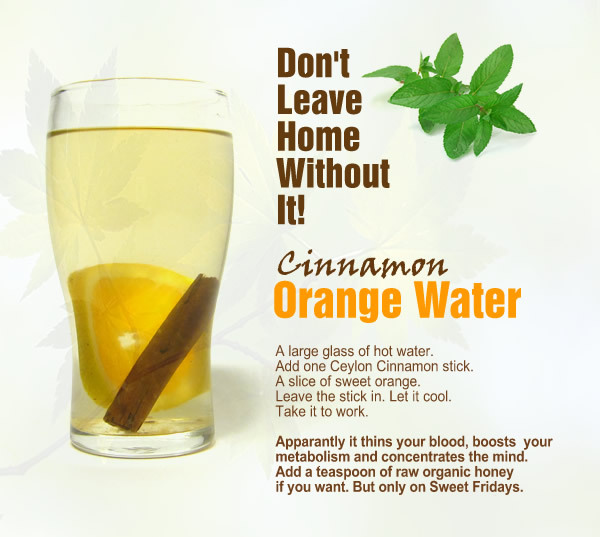 Try this refreshing Cinnamon Orange Water formula. The wonderful citrus taste of fresh orange combines extremely well with the sweetness and sophistication of Ceylon Cinnamon. The Cinnamon will keep your mouth fresh by killing unwanted bacteria as it is a well known anti microbial. It adds warmth to the sweetness of Orange. This is the perfect thing for your drive to work, studying or work. Cinnamon is known to boost memory and alertness. And the perfect companion to the diabetic who is taking Ceylon Cinnamon for health reasons. Boil a large glass of water, add one Ceylon Cinnamon Stick, let it cool and pour into your water bottle. Add a slice of orange and you are ready to go. You can reuse the Cinnamon stick. Throw it away when the taste of Cinnamon goes away. That’s when you know all the Cinnamon goodness has been extracted out. Cinnamon does not spoil as it is a strong anti microbial and preservative. 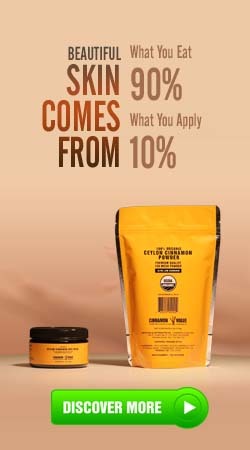 Remember only use Ceylon Cinnamon because the common Cassia Cinnamon has high levels of Coumarin which damages your liver. Besides Ceylon Cinnamon is so much nicer. Not overtly Cinnamony or Spicy. It’s sweet and sophisticated. Just right.